So Master Chief needs a gun. 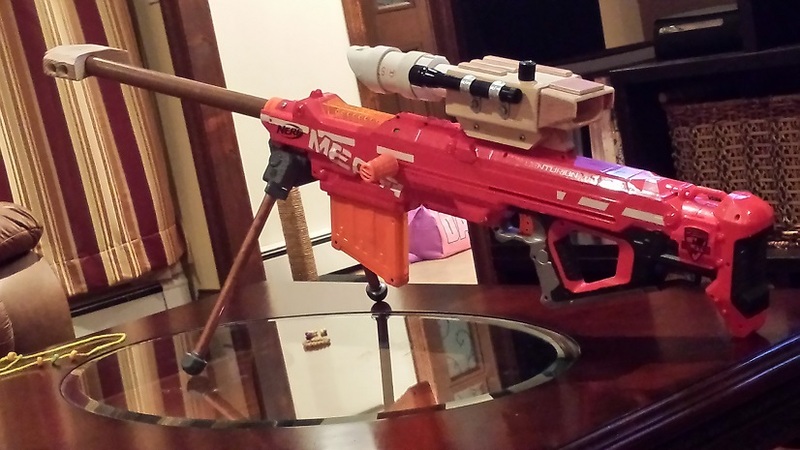 The 2 choices I was leaning towards was 1: make from scratch with wood and paint or 2: take an existing nerf gun and mod it. The easier of the 2 choices was the latter. 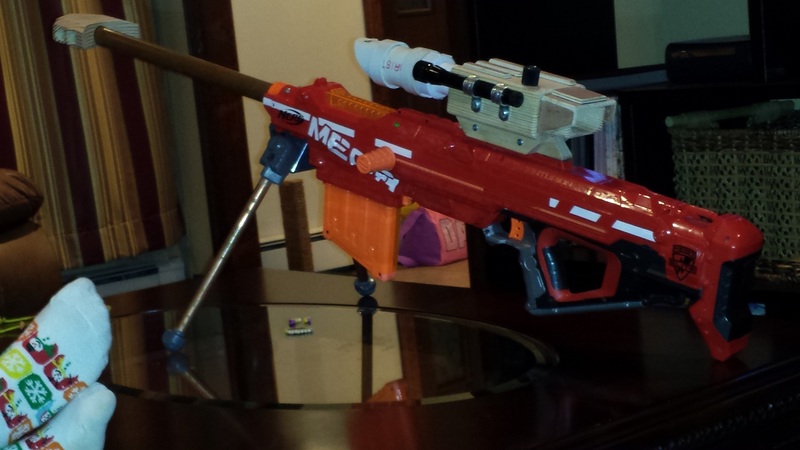 Also, if I get the modding just right, I should be able to still shoot nerf darts out of the gun. 1) Detach the end of the rifle and add a 1" copper pipe for new barrel. 2) Create a muzzlebreak out of wood. 3) Move stabilizer legs back and lengthen with copper pipes. 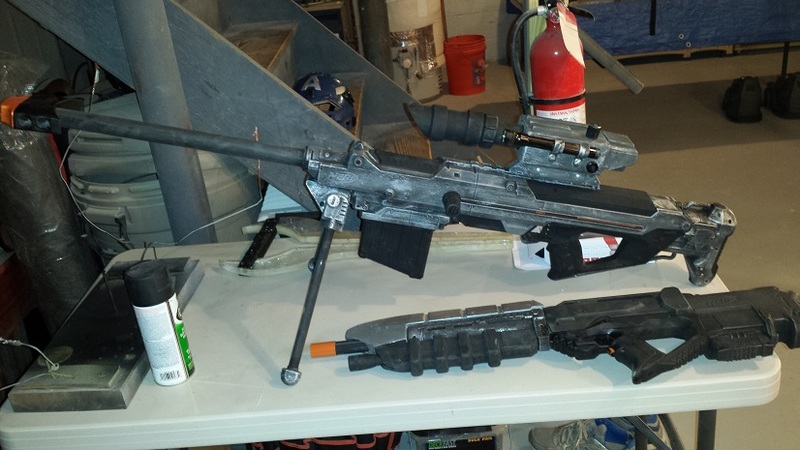 4) Add a scope some other flashy nonesense and this should be all wrapped up. Now onto the Painting which involves taping, dismanteling, and drybrushing techniques I learned when creating transformers. Overall, this was an easy mod to do and it still fires darts pretty well. I also put a flashlight on the scope in case I need to surprise my kids at night.